That Elizabeth Warren claimed in the 1990s that she is a Native American is, among other things, a sign that Supreme Court Chief Justice John Roberts had a point. When Roberts famously wrote in a 2006 opinion, “It’s a sordid business, this divvying us up by race,” he was castigated by many liberals for not understanding that Race Matters—that race is at the root of considerable societal injustice, and the country must address the issue squarely. 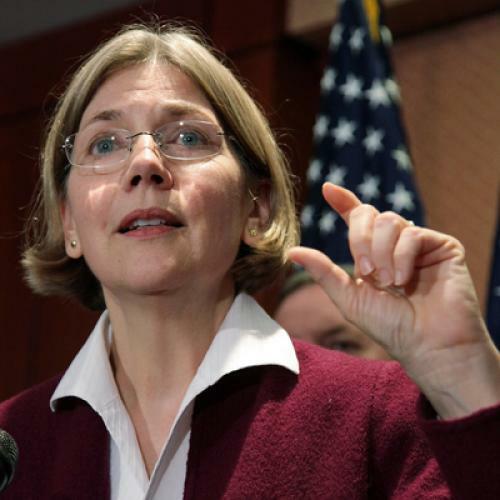 But notice a certain embarrassment many of us feel at the recent revelation that Warren, the phenotypically and culturally white Senate candidate from Massachusetts, identified herself as a “Native American” in professional academic directories, and was thus subsequently identified as a minority hire by Harvard Law School. It’s a sign that Americans increasingly agree with Roberts' point—that the country’s preferred ways of thinking, talking, and dealing with race no longer are on firm footing. It’s unclear whether Warren benefited in any tangible way from her choice to claim minority status (Harvard Law did not hire her on the basis of Native American status), but what has undoubtedly come into sharper focus are the roots of her decision: the cultural cues of an era that strongly encouraged everyone to “affirm” minorities of all stripes. Indeed, Warren is hardly the only white person in the wake of that era to “identify” as Native American on occasion. I’ll never forget a guy I knew at one elite school I have been connected with who proudly brandished his status as one thirty-second Native American on a regular basis and was even explicit that it must have gotten him into the school. In any meaningful sense he was about as Native American as Ashley Olsen, and one learned nothing from him about being anything other than the blond-haired, laconic stoner that he was. Generally, modern Americans can be almost strangely flexible on setting boundaries to what a culture even is. On separate occasions, I have been criticized for describing black culture as including soul food, a particular kind of humor, and a way of speaking. As such, Elizabeth Warren’s notion of herself as Cherokee—as well as Harvard’s touting her hiring as the inclusion of a “minority” on their faculty—should be understood as simply a sign of the times. But all of these painfully subtle and protean notions of identity are increasingly showing signs of strain in society. A certain degree of cognitive dissonance was present, of course, from the very beginning of affirmative action programs. Some blacks who had suffered little identifiable disadvantage would be exempted from serious competition. Some whites were going to use blacks as tokens of their good-heartedness. Some people of mixed heritage, mainstream Americans in the cultural sense, would be counted—voluntarily or not—as minorities and given preference in admissions programs and job searches. This was, fairly enough, thought of as collateral damage. Without explicit requirements to bring people of color into consideration for jobs and university slots, white America of the 1960’s and ’70’s would not have started doing so any time soon, if ever. The shove, in all of its crudeness, was necessary and just. But today, when the black condition is so much better and so much more diverse than it was 50 years ago, it’s no accident that old-style affirmative action policies are on the ropes. The black middle class is enormous. Increasing numbers of mixed people are calling themselves biracial rather than black. There are now over a million African-Americans who were actually born in Africa. The old categories just don’t work anymore. And, in that way, it’s fitting that later this year the Supreme Court may strike down race-based affirmative action in university admissions entirely. But we should be mindful that none of this was as true twenty years ago as it is now. Elizabeth Warren’s passing sense of herself as “a Native American” because her grandfather had high cheekbones and it’s what she “was told” is a snapshot of that earlier era. Besides, in the grand scheme of things, there is no reason to think she would be not be where she is today if she had never been listed as Native American. Still, it’s a kind of thing we’ll see ever less of in the years ahead. I should note that I am technically one-sixteenth Native American. There are photos of my half-Native American great-grandmother to prove it, complete with her own high cheekbones and indigenous regalia. That means my new daughter is exactly as Native American as Elizabeth Warren. However, when she starts applying for colleges and jobs, I picture her neither getting special attention as a Seminole nor seeking any—and that’s the way it should be. John McWhorter is a contributing editor of The New Republic.